I started with the company in 1970 and became a Local Agent in 1983. My office provides Auto, Renters, Home and Life Insurance. We would love to schedule an appointment to review your insurance program. Let us make sure you have all available discounts. Our MISSION is to be the preferred insurance and financial services provider for Bluffton, SC and surrounding areas. By providing car insurance, homeowners insurance, life insurance and financial services, we will help our customers realize their dreams. Our goal is to create a sound business that helps people and builds good community relationships. 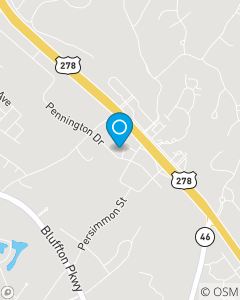 We are proud to serve the Bluffton, SC community with the best insurance products available. Elise Burrows, Nancy O'Mara, Joann Waters, Janice Schmid, Heather Brewer, Ishisha Reed, Tracy Morrow, Kimberly Spencer, Allyson Escobar, Tina McCoy, Martha Monzon. Several staff speak Spanish.